Bayer confirms bid for Monsanto; will pharma suffer? After several days of speculation, Bayer has confirmed it has made an unsolicited bid to acquire agrochemical group Monsanto for around $62bn. Rumours of Bayer's interest in Monsanto have been circulating for some time but were acknowledged towards the end of last week when the German group confirmed an offer had been made on 10 May. This morning it revealed the financial terms of the deal: $122 per share, which is a 37% premium on Monsanto's share price on 9 May. The takeover would make Bayer the largest supplier of seeds and agrochemicals, but investors have expressed concerns that it may be buying into a struggling business as the agrochemical sector is currently in a slump. Monsanto's sales fell 13% to 4.53bn in the first quarter. Adding Monsanto's annual revenues to those posted by Bayer crop science division would create a division with sales close to the $25bn posted by Bayer's entire healthcare division last year, and much larger than its $15bn pharma business. Analysts have expressed concern that Bayer is paying a premium for Monsanto and will have to raise capital to fund the acquisition, which - according to Alastair Campbell of Berenberg - "may not be the best option for Bayer shareholders". 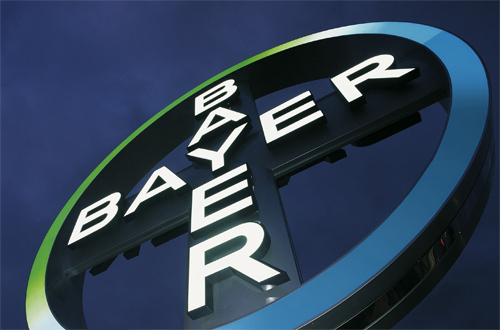 Some investors seem to share those concerns, as Bayer's share price has been in steep decline in the last few days, currently trading at towards the bottom of its 52-week range of €86.30-€138.50, and down almost 3% at the time of writing to €87.07. There are fears that a concerted push into agrochemicals could divert the company's attention and resources from its healthcare business, reducing its ability to stock its pipeline. "Bayer's pharma business is in excellent health today, but the clock is ticking regarding rebuilding its pipeline," said Campbell in a research note. "Will a stretched deal to acquire Monsanto impair its ability to supplement the pharma pipeline from external sources? We think that's a real risk."